Pithiviers station gets converted to Holocaust memorial, Amsterdam builds memorial with names of Holocaust victims. The Pithiviers station housed around 3,500 Jews in May 1941. That was before the most infamous deportations of French Jews, and before Jews were being murdered en masse in Auschwitz. Last week, local authorities said they would devote hundreds of thousands of euros to preserve the place, set up educational exhibitions on its walls and declare it a historical monument. The abandoned train station, whose old rails have not been replaced, had remained unused for years after the Holocaust, the France3 television channel reported last week. Schools in its region of eastern France have been bringing pupils for years to see the station, which is currently closed to the public. Separately, a website devoted to the memory of over 100,000 Dutch Jews who were murdered in the Holocaust was honored by the prestigious European Design Awards last month. 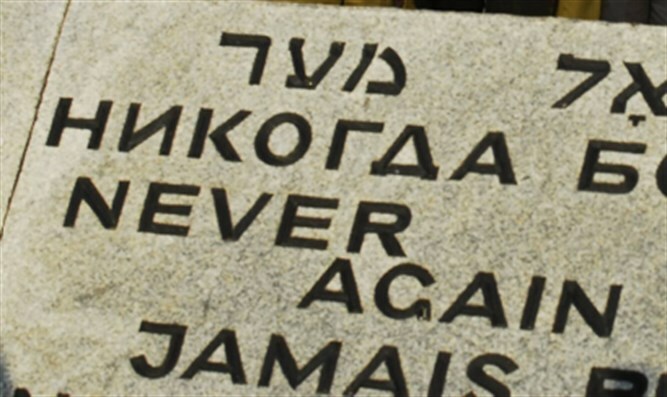 The Jewish Monument website, which went online in 2005, is designed as a memorial wall featuring the names of Holocaust victims. A physical memorial monument with the names of the Dutch victims of the Holocaust is currently being built in Amsterdam.